Mulatu Astatke will be bringing his Ethio-jazz to The Rosemount Hotel for a second show on Sunday, February 3, now including a matinee and an evening show. He will be backed by Australian Ethio-funk band Black Jesus Experience. Mulatu was at the heart of Ethiopia’s urban music renaissance during the latter part of the 20th century. He came to renewed world prominence through the Ethiopiques record series and the soundtrack to Jim Jarmusch’s Broken Flowers. Black Jesus Experience is Australia’s premier Ethio-funk ensemble, born of Australia’s vibrant multiculturalism. Mulatu and Black Jesus Experience met in Addis Ababa in 2009, starting an enduring musical friendship. 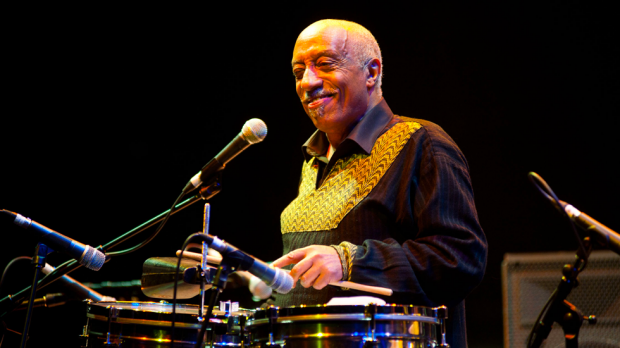 Mulatu describes Black Jesus Experience as “My favourite backing band”. Mulatu and Black Jesus Experience have performed at major venues and events in Africa, Europe, UK, Australia and New Zealand including Glastonbury, Womad, Bushfire and The United Nations. Mulatu Astatke and Black Jesus Experience play two shows at The Rosemount Hotel on Sunday, February 3. Tickets available HERE.